You want to make nothing but a good impression to your customers during every interaction, so your business forms should positively represent your company. Now you can take your invoices and other business forms to the next level with professional, reliable business printing services from Colorprint! Upgrade your business’ image with custom designs for purchase orders, invoices, business forms, and other carbonless forms. We are a complete commercial printing service, and we can handle jobs of all sizes. Whether you need purchase orders to add to your shipping boxes or professional looking invoices, statements, or newsletters to send to your clients, Colorprint can get the job done quickly, with a professional result every time. Just let us know what you’re looking for, and we can accommodate all your business printing needs! Creating business forms and other materials can be a tedious process, and we know you have better things to do with your day. That’s why Colorprint is here to make the entire process simple and quick. Our expert in-house design team will work with you to understand your brand, and what you’re looking for with your printed materials, then we’ll handle the entire process for you from start to finish. We’ll take care of everything from designing your printed materials to delivering them to your doorstep. We provide free local delivery with fast turnaround time, delivering your order on time or ahead of schedule, every time. Your business forms make an impression with your customers and clients, so don’t settle for mediocre materials. 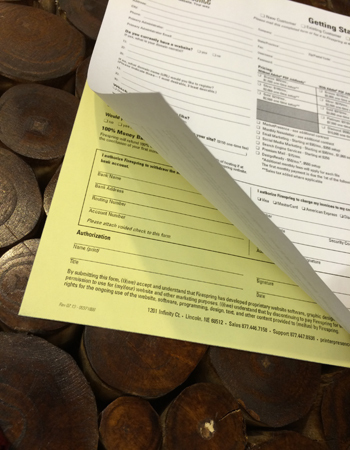 Make your company stand out with professional-looking forms and other products from Colorprint. 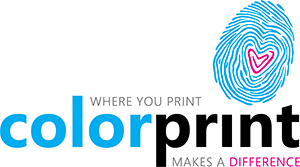 Call us today at 650-697-7611 for a quote or stop by our office to learn more about our business printing services!